Dealing with legal matters that affect your family can cause you a great deal of stress and worry. Fortunately, help is available. At Atkins and Atkins, Attorneys at Law, LLC, in Columbus, Ohio, our team of experienced and talented legal professionals possesses the skills and resources you need to help you with all of your domestic relations issues involving divorce, child custody and support, property division, alimony, adoptions and other family law matters. Additionally, our law firm offers solid, comprehensive estate plans that we will tailor to your specific needs and goals to help you protect yourself and your loved ones for the future, and we will represent your interests throughout all probate and estate administration proceedings to help you preserve your final wishes. If you are looking to buy or sell your home or invest in commercial property, our real estate law professionals will provide the assistance and support you need as you navigate any complex real estate transaction, and we will fight hard on your behalf during any type of disputes or litigation that may arise. Backed by decades of combined legal experience, the attorneys at our law firm serve clients throughout the Columbus metro region and all across central Ohio. As Ohio natives, we genuinely care about the legal matters that affect the members of our community. We promise to work closely with you to fully understand your situation so that we can offer the straightforward advice and trustworthy counsel you need to make the best informed decisions about the issues that affect your case. Regarded as some of the top attorneys in the region, we hold top ratings from Avvo for divorce, child custody and probate, and in 2016, Expertise included us on its list of Best Divorce Lawyers in Columbus. 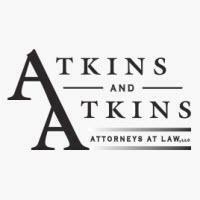 This has helped make Atkins and Atkins, Attorneys at Law, LLC, one of the area's leading practices for quality, effective support for family law, probate and estate planning, and real estate. To receive this level of advocacy and support for your legal issue, contact our firm to schedule a consultation.